I tried Vega back in the winter – the Chocolate ONE powder and the Vanilla protein powder. Check out my review here. I lost a few pounds replacing a meal with a Vega shake for 4 days. I used the ONE powder more because of all the nutrients and sometimes put in the kids’ smoothies as well. They didn’t have the Vanilla ONE powder out where I shop, but I was able to try out the French Vanilla Vega One powder to come up with a recipe to share with you! The French Vanilla was delicious – my favorite so far. I have the Vanilla Chai but prefer the Plain Vanilla. 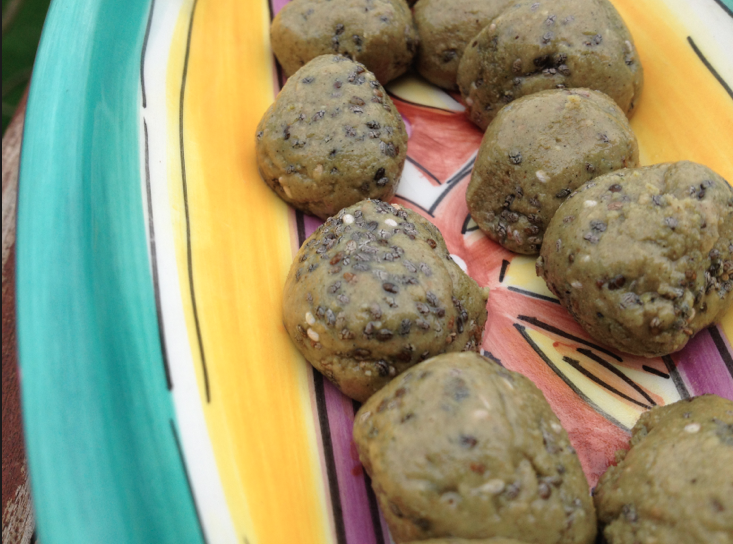 In terms of adding the powder, I found that raw recipes work best, and the kids loved these as a snack! Easy and good! 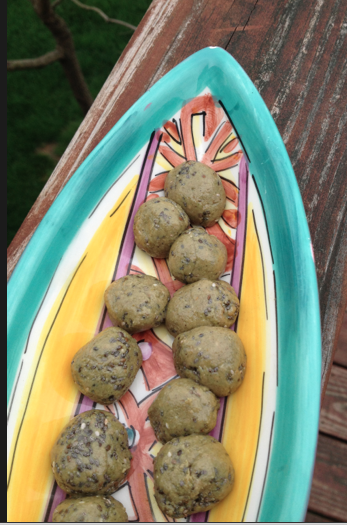 Raw Cookie Dough Balls 1 scoop Vega One French Vanilla ½ cup sunflower seed butter 2 T chia seeds optional: honey to taste and mini chocolate chips Mix them all together in a bowl and roll into balls! Between the sweetness of the sunflower seed butter and Vega, I didn't find that I needed the honey, but depending on your sweet tooth, you might! 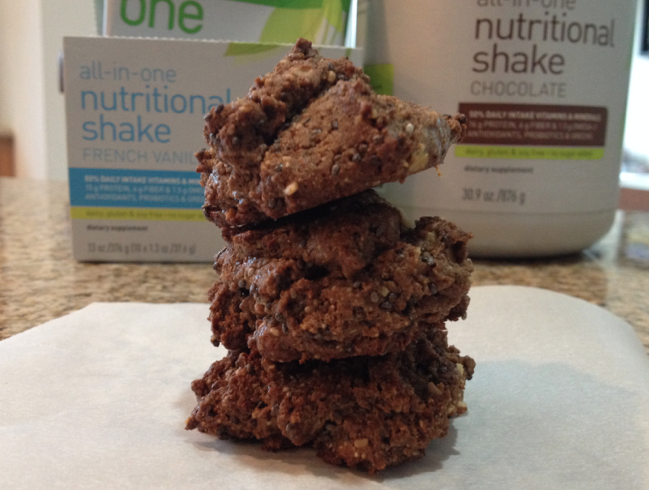 You could also add more sunflower seed butter and rolled oats to your liking. Mix them all together in a bowl and roll into balls! I found that I did not need the honey, but if you like them a little sweeter, you may want to add to taste! One thing that stuck with me about Vega is minimizing exposure to sensitivity – aggravating ingredients. 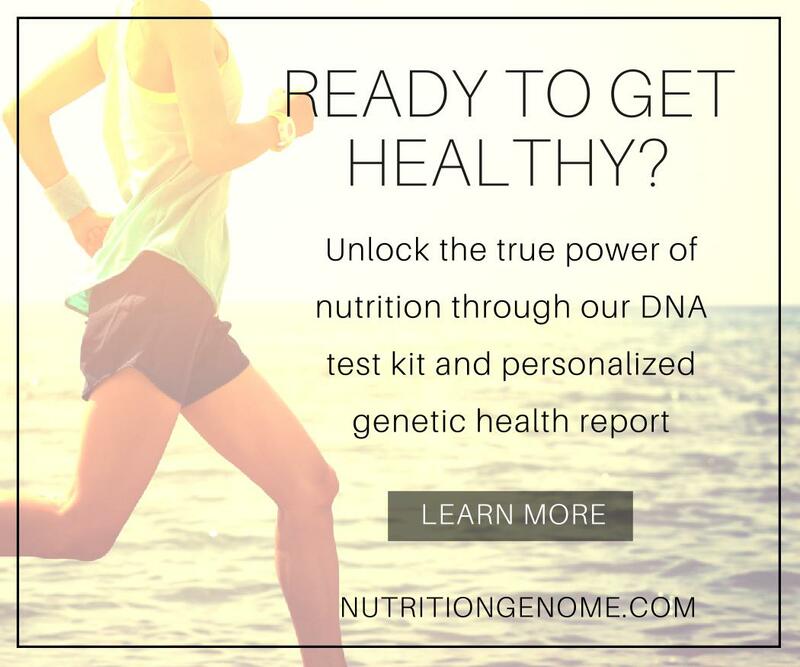 As I grow older, I am finding that more and more foods bother me – usually in the form of bloating. 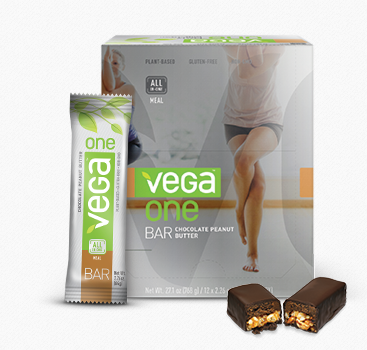 Vega products contain no dairy, gluten or soy and are exclusively from plant-based, whole food ingredients. Read more about Vega here. 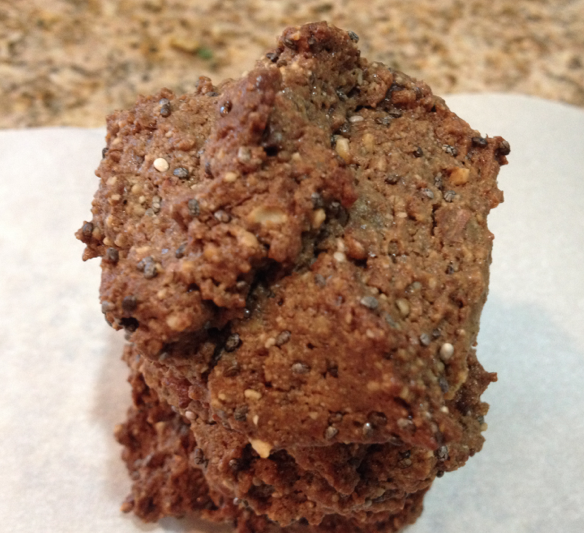 I’m working on this recipe using the Vega One chocolate powder and almond flour in place of flour. This one did not pass with the kids, but I enjoyed them! Stay tuned for a recipe after I tweak it a little more. 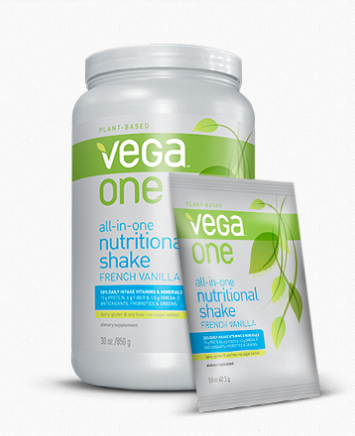 What other type of recipes would you like to see using Vega One Powder? **I was not compensated to write this post and the views expressed are all my own. I was provided with a pack of Vega One French Vanilla powder for recipe development. I had their bars at a blogging conference and they were good! At least, the mint chocolate one was. Your dough balls look yummy, too!